Scientific Dust Collectors' (SL) Horizontal Cartridge Collector is designed for industrial powders, assorted metal working and spraying applications, and sub-micron dust applications. It utilizes the patented supersonic nozzle cleaning system, internal inlet air baffle, and patented spring-loaded door for filter removal using a spring-loaded handle, NO TOOLS REQUIRED! 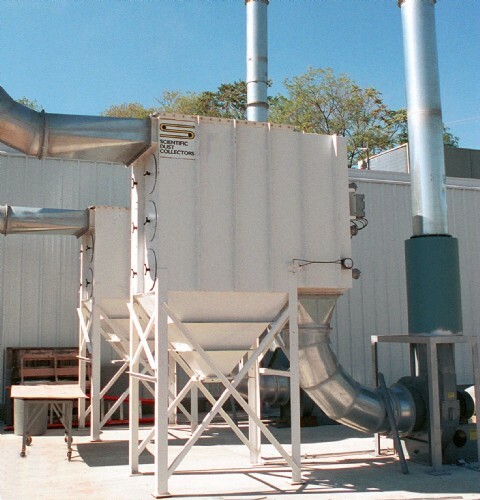 The unique and patented inlet baffle allows air to evenly disperse throughout the entire bin. It also reduces the "dead zone" area at the top of the horizontal cartridge filters. As with some of our other cartridge units, this design also incorporates a spring loaded door, which allows us to guarantee never to have a cartridge gasket leak inside our cartridge dust collectors. 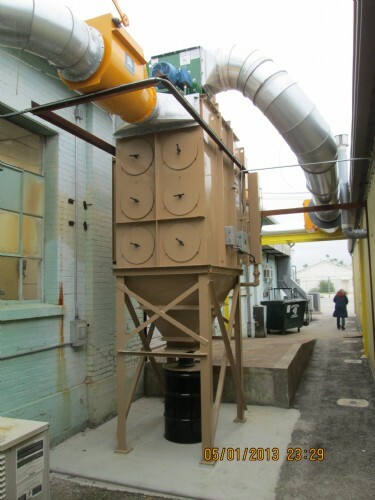 This series of cartridge dust collectors is a welded design not a bolt-together design. 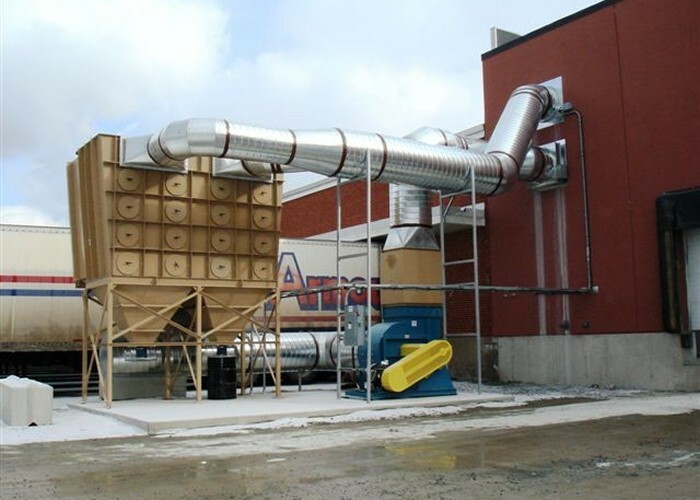 The SL design also provides numerous hopper discharge accessories such as 55-gallon drums, slide gates, rotary airlocks, double dump valves and super sack discharge arrangements.